A world of opportunity is open to pilots. Unmatched freedom, career opportunities, and personal accomplishments are a few of the many reasons why people decide to become pilots. Attaining the status of a commercial pilot is a milestone. 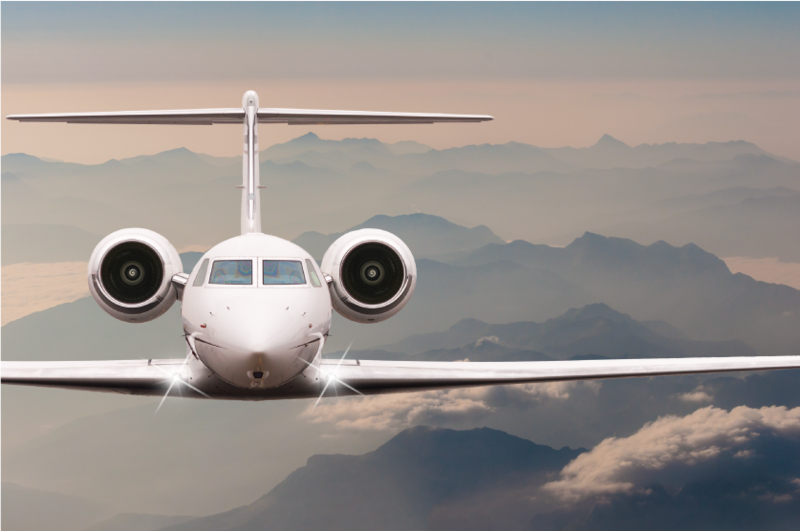 As a commercial pilot, you will be able to fly for compensation or hire. This could include flying people, cargo, or in a variety of other capacities. Many commercial pilots pursue careers as flight instructors, charter pilots, and/or with corporate flight departments. If this is your goal, Gleim can help! 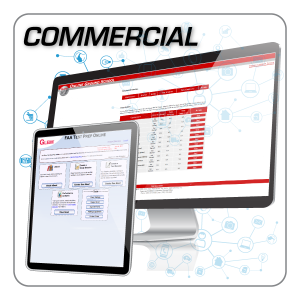 A commercial pilot certificate is similar to your private pilot certificate except that it provides the opportunity to get paid to fly. 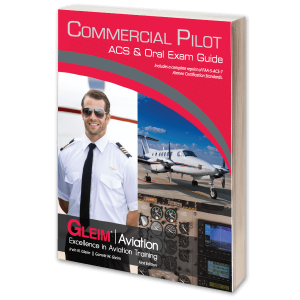 Learn more about Commercial Pilot Requirements, Privileges and Limitations here. A commercial pilot certificate is issued upon satisfactory completion of your training program, a pilot knowledge test, and a practical test. 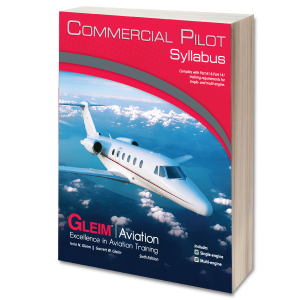 Gleim Aviation goes beyond preparing you to pass the required tests. Coordinated training makes you a safer, more competent pilot in less time and without frustration. 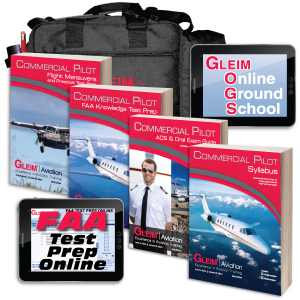 The Gleim Online Ground School guarantees you will pass the written exam. 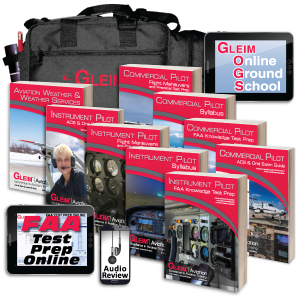 Purchase the Gleim Commercial Pilot Kit. 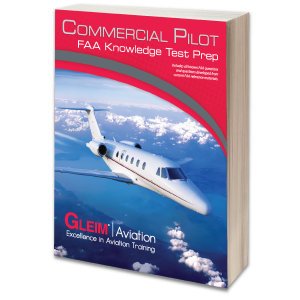 This kit includes everything you need to study and reference in order to prepare for the FAA Knowledge Test, also known as the written exam. This computerized test has 100 multiple choice questions. 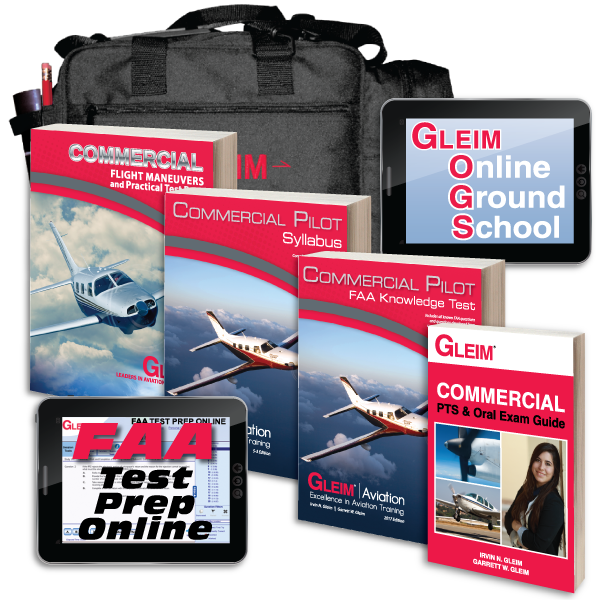 Learn the material quickly with the Gleim Online Ground School. This course guarantees you will pass the written exam. It is included with our Deluxe Commercial Pilot Kit. 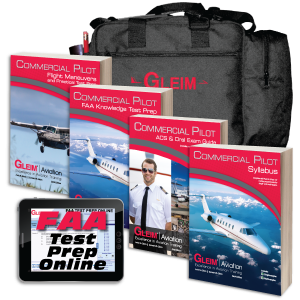 The Gleim Deluxe Commercial Pilot Kit is an all-in-one program designed to expedite training for the Commercial Pilot certificate. 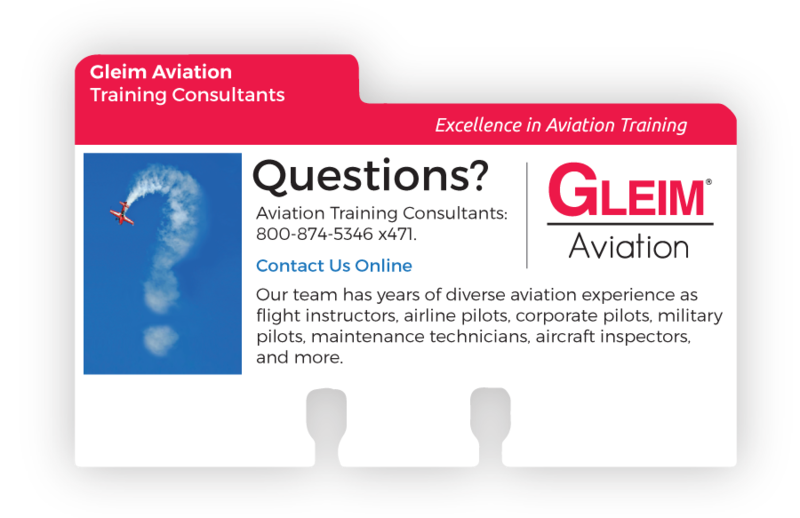 Pilot training is available on-site at most airports, either through an FAA-certificated (approved) pilot school or through other training providers. An approved school may be able to provide a greater variety of training aids, dedicated facilities, and more flexibility in scheduling. A number of colleges and universities also provide pilot training as a part of their curricula. 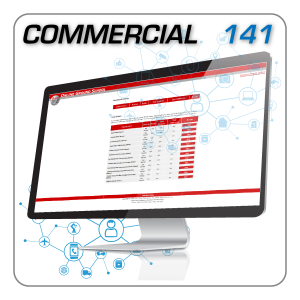 FAA-approved pilot schools are certificated in accordance with 14 CFR part 141. Commercial pilot training conducted under part 141 requires 190 hours, while training under part 61 requires 250 hours. This difference can save significant time and money. While smaller flight schools may not find it practical to meet prescribed FAA standards for FAA-approval, many independent flight instructors and individual flight schools still provide high quality training, and offer greater flexibility to adjust lesson content to meet individual student needs. 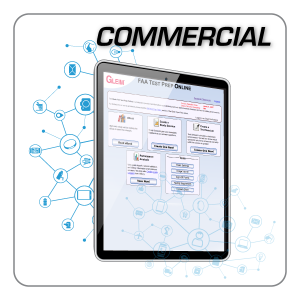 Ultimately you will train to the same FAA standards, and the practical test is the same regardless of whether training was received under part 141 or 61. Learn more about OGS 141 here. Is training provided under part 61 or part 141? Do they use the Gleim training material? 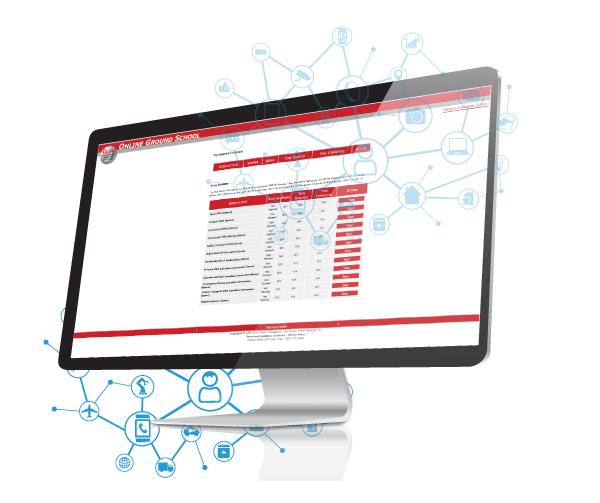 What are their projected training program costs? What is the rental cost for their training aircraft? What are the solo and dual instruction rates? Do they have a flight simulator? If so, what is the rate and is it approved to log time? How much emphasis do they place on simulator instruction? 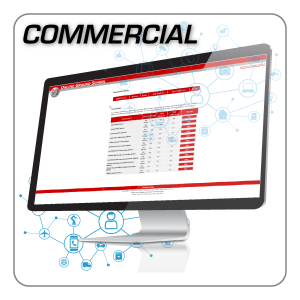 Ask for the names and phone numbers of several persons who recently attained their commercial pilot certificate under their direction. Does the flight instructor's schedule and aircraft availability fit your schedule? Where will they recommend that you take your knowledge test? What is its estimated cost? Where will they recommend that you take your practical test? What is its estimated cost? Once you begin your pilot training, purchase a local sectional chart, a chart supplement, and a copy of your airplane's Pilot Operating Handbook (POH). 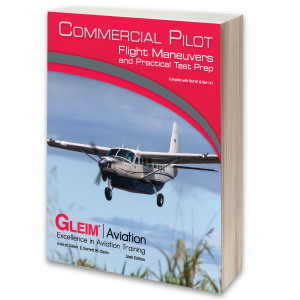 Make sure that the CFI is familiar with Gleim pilot training materials (the books with the red covers) and is enthusiastic about using them. If you encounter hesitation, call (800) 874-5346. Once you have made a preliminary choice of a flight instructor, you need to sit down with your flight instructor and map out a plan. 1. When and how often you will fly. 2. 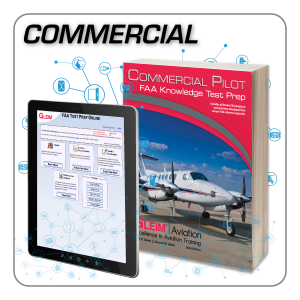 When you will take the FAA pilot knowledge test. 3. When you should plan to take your FAA practical test. 4. When and how payments will be made for your instruction. 5. Take and pass your knowledge and practical tests!